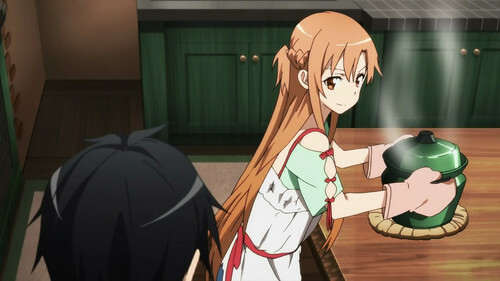 I can smell it, the cooking of Asuna!. . HD Wallpaper and background images in the Sword Art Online club tagged: sword art online. This Sword Art Online photo might contain woonkamer, zitkamer, voorkamer, salon, and massagesalon.